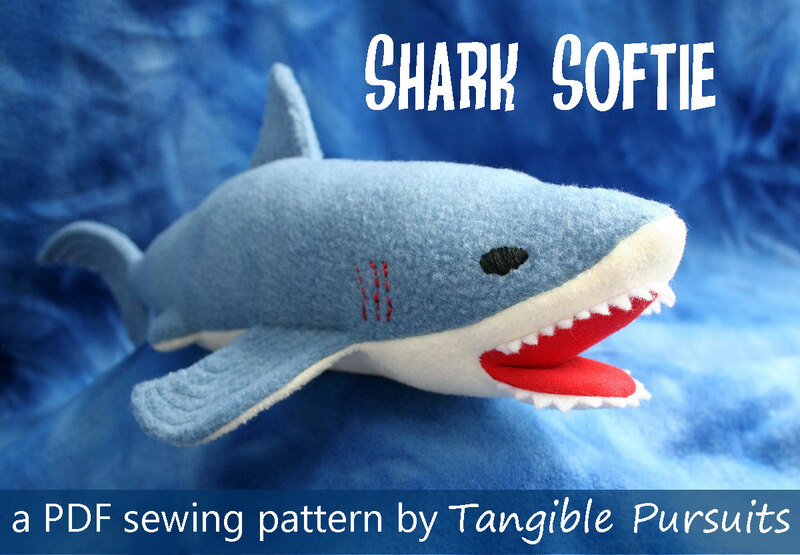 Tangible Pursuits: Shark Softie Pattern Release and Giveaway! 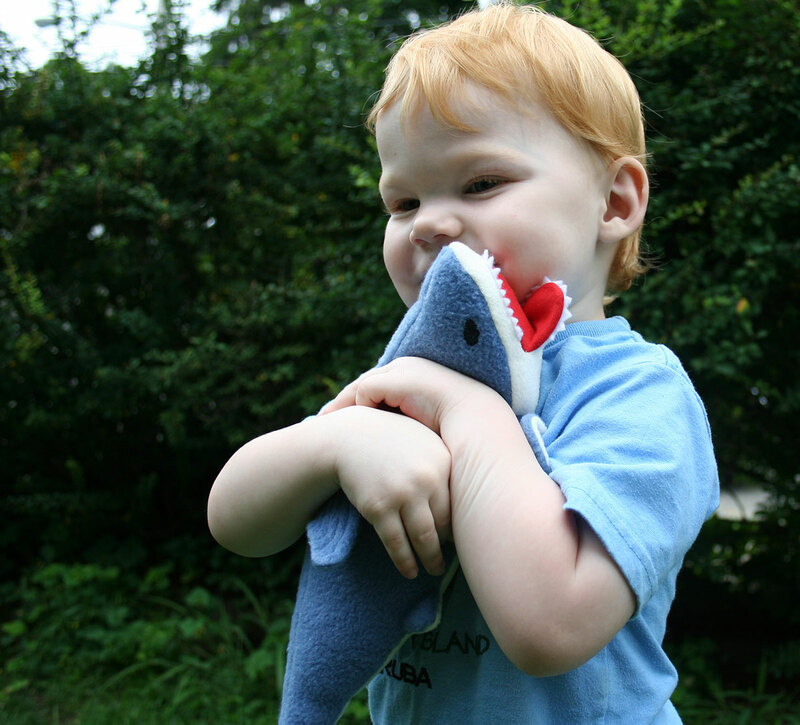 Shark Softie Pattern Release and Giveaway! 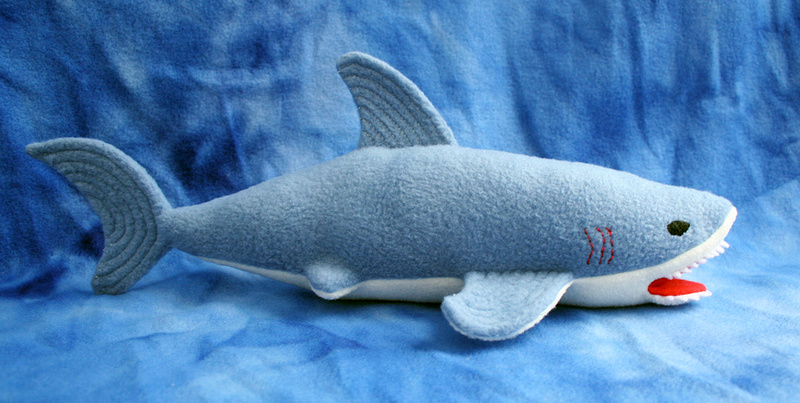 I am happy to announce the release of my latest pattern, a shark softie! This shark is a little on the ferocious side with his open mouth and sharp teeth, but he also doesn't mind being cuddled. The pattern is available for sale on Craftsy (affiliate link). The pattern includes detailed instructions, illustrated by clear pictures, and full size pattern pieces, which include seam allowances. The pattern makes an 18" long shark. 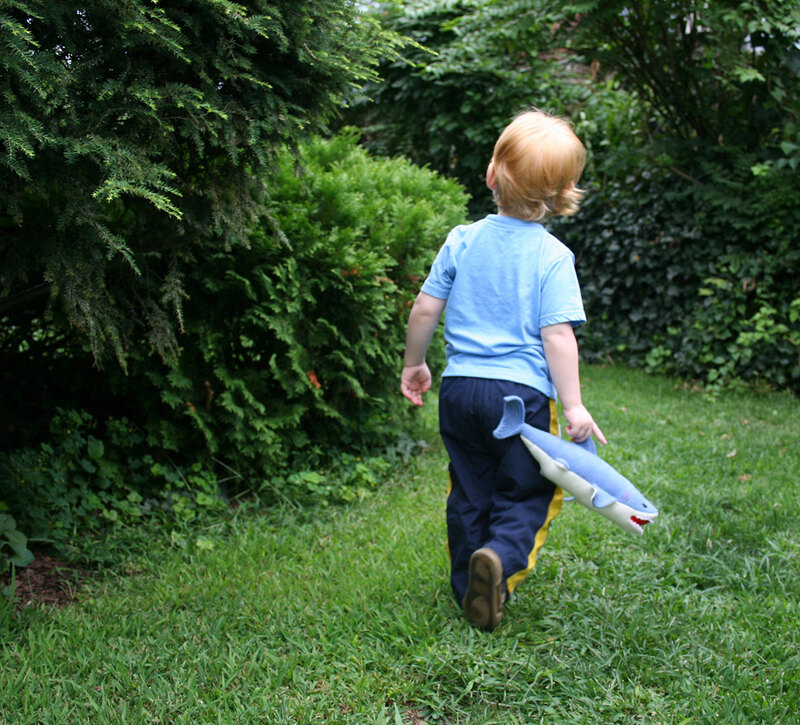 In honor of the pattern release I will be giving a free copy of the shark softie pattern to one lucky winner. You can enter using the Rafflecopter widget below. Hi - I wasn't able to use your link to Pin your pattern. I DID go to my Pinterest account and pinned it. I want / need this pattern - could you possibly help me. I'm sorry you had trouble - was it the Pin It button at the top of the post that wasn't working or something else? If you pinned it, however you did it, then you can enter. I changed the entry so that you just have to put in your Pinterest username. So cute! Just in time fir shark week! Thanks! I didn't realize until a week ago that Shark week was starting today, so I worked hard all this week to get the pattern done in time! So cute, my kids would have loved this when they were little, thankfully I have little nieces and nephews and cousins kids who are just the right age now!